WORKFORCE UNLIMITED PREMIER DIVISION: Benington 3 Coningsby 4, Kirton Town 3 Pointon 4, Railway Athletic 1 Old Leake 0, Swineshead Institute 1 Skegness Town Reserves 2, Wyberton Reserves 2 Spilsby Town 4. 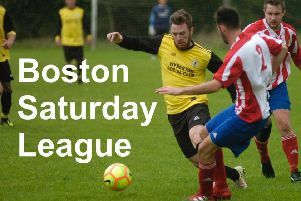 WORKFORCE UNLIMITED DIVISION ONE: Fishtoft 1 Boston College 0, Freiston 2 Billinghay Athletic 3, Friskney 1 Park United 0, Pointon Reserves 1 FC Hammers 4. WORKFORCE UNLIMITED DIVISION TWO: Caythorpe 5 Boston Athletic 6, Coningsby Reserves 1 Eagle United 4, Holbeach Bank 2 JFC Boston Seniors 3. 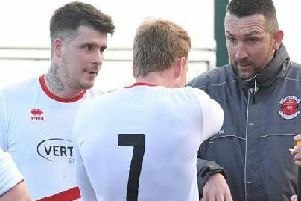 BB INSURE WILLOUGHBY SHIELD, SEMI-FINAL: Woodhall Spa United Reserves 2 Skegness Town A 1.